John and Susan Prin are the kind of voters Democrats will need to win over next year if they are to break a 29-election losing streak in Minnesota's suburban 3rd Congressional District. The Eden Prairie couple has cast past votes for Republican Rep. Erik Paulsen. The self-declared independents say they appreciated his work on policy related to pulmonary fibrosis, a lung disease that claimed their daughter this year at age 42. "He fought for her health care," Susan Prin said. "But I'm seeing a different Erik Paulsen now, and that's really sad." She has soured on Paulsen, partly because she doesn't think he's separated himself enough from President Trump and his agenda. Her husband shares the perception. "All this business of shaking hands with people across the aisle, it's just not there anymore," John Prin said. "Or just shaking hands with people in his district," Susan Prin added. Paulsen declined an interview request, although his office points to eight telephone town halls, more than 100 constituent meetings and other public events around the district this year as signs of his accessibility. Now in his fifth term, Paulsen is among only 23 in his party to win last fall despite the district's voters backing the Democratic nominee for president — a feat he's accomplished three times in the western Minneapolis suburbs. Minnesota's 3rd District is critical in the national picture as Democrats attempt to reclaim U.S. House control. It's also the type of place where fissures in the party's base could be on display. The key question is who will take Paulsen on and from where on the ideological spectrum. Four candidates are hoping for the chance: entrepreneur Dean Phillips, investment manager Adam Jennings, consultant Jim Haugen, and comedy writer and actor Brian Santa Maria. In the early going, Phillips and Jennings have separated from the pack in building credible campaign accounts for what promises to be an expensive race. They also illustrate the subtle yet important differences in approach. Phillips, a first-time candidate, has calibrated a moderate message that could be key in attracting the district's famously split-ticket voters. Aside from a nod to former Democratic Vice President Hubert Humphrey, Phillips omits mention of his Democratic affiliation on his campaign web site. But he doesn't hide that fact out in public. He shares the story of being an 11-year-old when he was proclaimed a Democrat by his grandmother, a newspaper advice columnist. 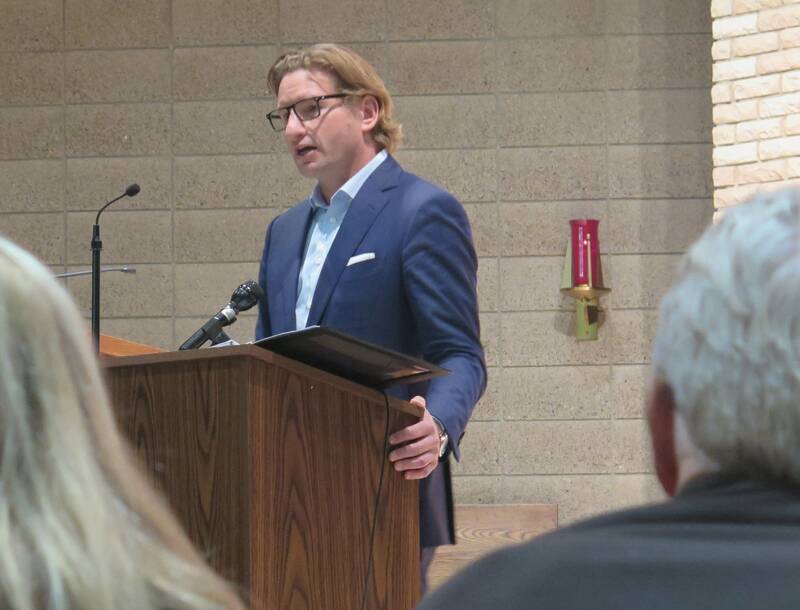 "I was anointed a Democrat by Dear Abby one fine evening in 1980 and have come to adore appreciate and represent those values," Phillips told the Westside Progressives group last week. Phillips was there to talk about his platform issue: Overhauling the campaign finance system to curb the influence of special interest contributors. He has pledged to refuse contributions from federal lobbyists and political action committees while leaving the door open to supplementing money he raises from individuals with a personal infusion. He describes himself as a "practical progressive." He supports business and personal tax cuts, but says any plan must be paid for and focused on the middle class. While he says he personally pays a $15 hourly wage at two coffee shops he co-owns, he doesn't think that minimum should be imposed on businesses. And he calls for universal health coverage but stops short of endorsing an approach many Democrats have rallied behind. "I believe that the most pragmatic likely way to achieve that is not to go to a single-payer system. I don't believe that's achievable," Phillips said. "What I do believe is achievable is the expansion of a public option." For his part, Jennings wants to raise the federal minimum wage to $15 an hour. On health care, he backs a proposal from Vermont Sen. Bernie Sanders that would make the government the main provider of health coverage through a Medicare-for-All model. "That's something I want to debate. I want to be attacked on that because I think having a single-payer universal system is the right thing to do," Jennings said. "We have a solution and plan that could work. We should fight to implement that." Jennings recently left his asset management job at a real estate development company portfolio to focus full time on his campaign, which he loaned $200,000 last month. He highlights past work on a Ford plant assembly line and service in the Minnesota Army National Guard. 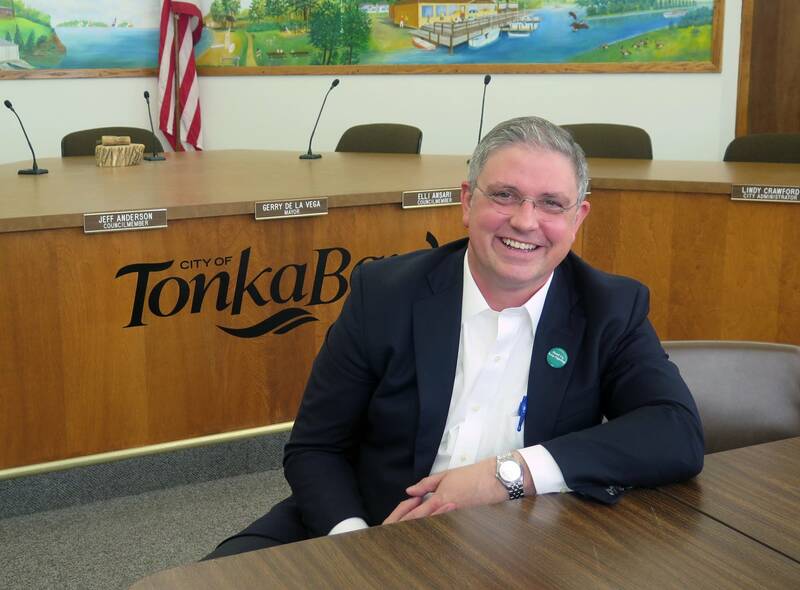 He's the only DFLer in the race who has won an election — to a spot on the Tonka Bay city council that he has been on for about nine months. Jennings said he wouldn't be a candidate for Congress if not for President Trump's election and the disruptions. "I didn't think of this as a career move," he said. "I thought of it as a call." The 3rd District has steadily become swing turf. It now boasts more DFL state legislators than Republicans, and has voted for the Democratic presidential nominee the last three elections. Meanwhile, Paulsen has run up five comfortable congressional victories. His 13-point win in 2016 came despite Hillary Clinton topping Trump by almost 10 percentage points. To Jennings, it's a sign the nominee shouldn't be shy about running hard on Democratic principles rather than playing to the political middle. "We don't have a problem getting Republicans to vote for Democrats in this district," Jennings said. "We have a problem getting Democrats to vote for Democrats in this district."